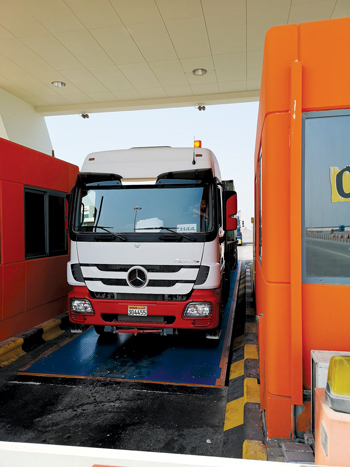 APM Terminals Bahrain, the operator of Khalifa Bin Salman Port (KBSP), has installed three new weighbridges at the kingdom’s prime port at Hidd, as part of its plans to streamlining its operations. The company’s investment in the three new weighbridges is aimed at enhancing its VGM (Verified Gross Mass) service offerings. It comes as part of APM Terminals Bahrain’s continued efforts to upgrade the KBSP infrastructure and provide increased efficiency and sufficient capacity for future export growth. The new pit-mounted weighbridges, includes a combination of fully and semi-automated weighbridges which will be located at three different points : 2 In weighbridges at the entry gate and one Out weighbridge inside the container terminal. This will be in addition to the two manually-operated Weighbridges currently operational at the terminal.